Strengthen your safety culture and give your employees the tools they need to identify, eliminate and track hazards. How does this happen? Strengthen your safety culture by giving your workforce the tools they need to actively participate in safe operations each and every day. Get valuable data to decision-makers and take quicker action across the organization. Instantly identify, photograph and report hazards or opportunities. 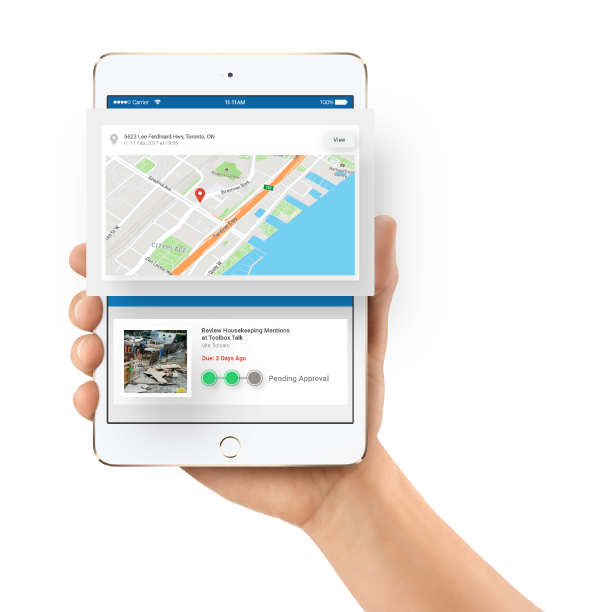 Complete accurate incident/near miss reports on our safety app, with annotated photos, even when you’re offline. No more paper stacks or spreadsheets. Use our EHS software to build a high-velocity prevention process. 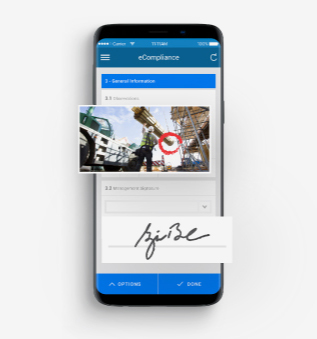 Conduct recurring or ad hoc inspections with ease, add pictures and sign off with a digital signature. Take meeting minutes and track attendees from your employee list. Sign off on your safety meetings, tailboards and toolbox talks at any time and drive a stronger Participation Score™. Sync all of your training certificates / qualifications and access policies / procedures from your app so you can show them to foremen, clients, and inspectors. Assign and prioritize corrective actions. Track their and alert your colleagues instantly to ensure the right controls are in place. is ready for use and extend your equipment’s life by linking your inspection and reporting process.